The awesome racing experiences we provide at our Sheffield Karting venue are matched by the excellent facilities that we have to offer. This includes free parking on-site, a heated trackside viewing area, changing rooms and toilets, in addition to a variety of catering options. 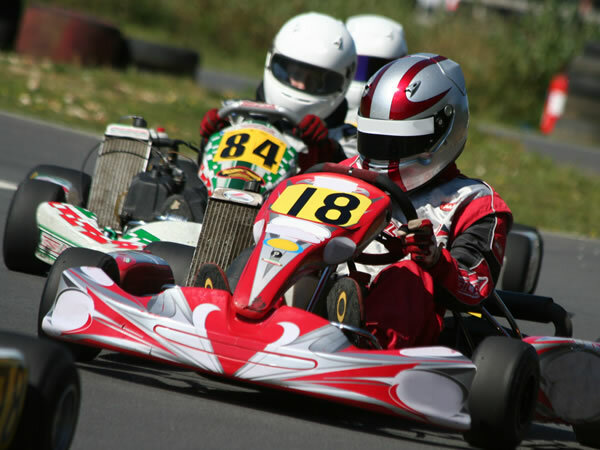 Allow a wannabe Lewis Hamilton to take part in a Formula One experience as you take advantage of this tailor-made junior karting package! Getting behind the wheel of our custom-built 160cc Honda Petrol Engine cadet karts, the kids will receive expert tuition on how to accelerate smoothly, brake effective and steer safely! After that, they’ll be free to race around our 470-metre outdoor high-grip tarmac track – zooming down the long downhill straight and aiming to record the fastest lap time possible! All results will be timed on our computer lap timing system – so the budding drivers can take their lap times home with them and compare their results with their friends! All equipment is provided upon arrival as well as a full safety briefing from our qualified instructors who are on hand throughout the duration of the session. Offering an action-packed racing session from start to finish, our fantastic GP experience is tailor-made for racers of all levels of ability. Gliding around our 470m circuit from behind the wheel of an epic 270cc Biz kart, you'll get the chance to get in touch with your inner Sebastian Vettel. But, if you're hoping to earn your spot on the podium, you're going to have to put that pedal to the metal and master the plethora of tight bends and exhilarating straights too! Your performance will be timed using a state of the art computerised system, and you will receive a printout of your lap times at the end of the race. Full equipment hire and a complete safety briefing is included within the cost of the package. There can be no better introduction for kids into the exciting world of karting than our kids timed sessions or karting parties. On arrival we fully brief them to familiarise them with the karts. They then get their overalls and helmets on (just like real racing drivers) and into the karts for the thrill that only go-karting can give! 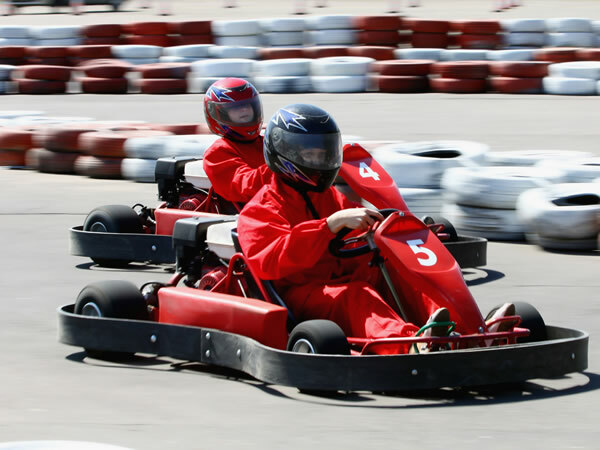 This Kids Karting package is the perfect introduction to the thrills and spills of karting. Your session will begin with one-to-one tuition from one of our experienced instructors where you will cover everything from safety to accelerating, braking and steering. After following the instructor for 2 laps to learn the tracks braking points and best racing lines you will have the chance to put into practice all you've learnt with 30 minutes of track time. Our computer timing system also provides you with a printout of your lap times so you can see how you improved your karting skills. Price advertise is for a Saturday. If booking a session during Sunday to Friday the price is £30.00 per person. Drivers must be accompanied by a parent or guardian. Mini event in name only! During this event, each karter will get a 1 lap practice to become accustomed to both the kart and the circuit! Then it is onto the serious stuff with a 10 lap and 12 lap qualifying session per driver to determine your grid positions for the final race. This is a 15 lap Grand Final to really demonstrate your karting credentials. 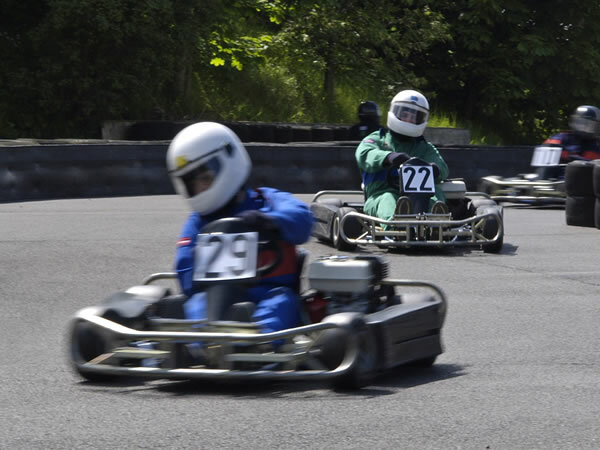 During this event, each karter will get 1 practice lap time to become accustomed to both the kart and the circuit! Then it's onto the serious stuff with a 10 lap and 15 lap qualifying heat to determine grid positions. The grand finale is a 20 lap showdown and the chance to go down in karting legend! Hopefully for finishing first and not for posting the slowest time ever!